Successful higher education marketing requires research, planning, and strategy. It’s an art that many marketers and student recruiters have perfected over time. But is the process for marketing to international students the same? 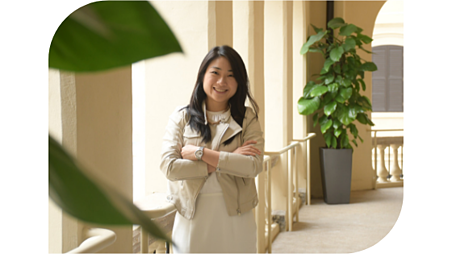 We recently connected with Vivien Tse, an international higher education marketer. 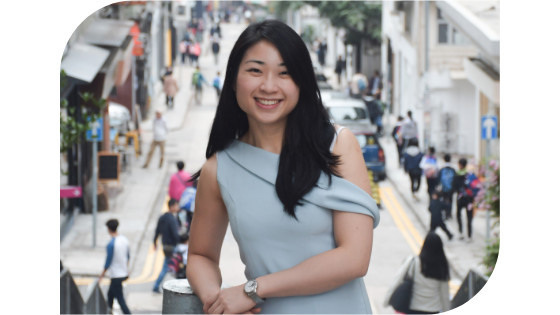 Based in Hong Kong, Tse helps and teaches institutions around the globe to market their programs and attract students internationally. 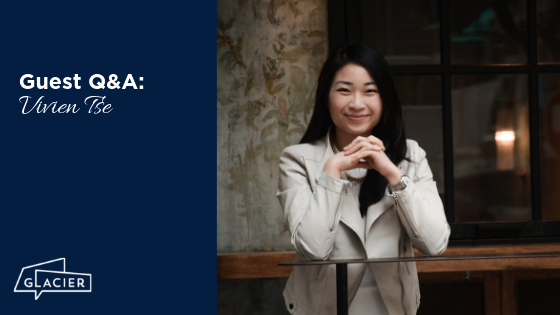 Her insights on marketing might surprise you. Read on to find out tips for international higher ed marketing. Q: What kind of work do you currently do? A: I help and teach schools, higher ed institutions and education business owners to recruit international students. But there’s so much more to what I do than that. The view in education marketing is often just about increasing enrollment numbers. That’s missing the most important part. If I am not able to help my clients promote their courses correctly and match them with high quality students, then there’s no point being in education marketing. I am passionate about the students and want to help them find the right fit. It’s not just about getting the money...it’s about finding the right match for high quality students. Q: How do you define a high quality student? Is it the same definition for every school, or does it change? A: It’s a little bit different for every school, but it’s similar in many ways. In terms of student recruitment, you ultimately want the student to study at your institution. So a high quality student is someone who will enroll and study there for the full duration of the program. It comes down to three factors. Is the student motivated to attend the university? Can the student pass the entry level requirements? And the third one, which a lot of my clients overlook, is does the student meet the visa requirements of the country? Q: What is the biggest challenge in actually identifying those high quality students? A: It’s the time it takes. Sometimes I see clients that work for a university’s international team that just focus on calling every student and following up with them. Then they run out of time because they are trying to reach everyone. It takes time to find the high quality students and time to nurture them. It’s important to identify the high quality students as early as possible so you aren’t wasting time targeting the low quality ones. If you are repeatedly following up with students who aren’t the right fit, you are wasting your time and theirs. Instead, if you build a system to identify them early on, you can let them move along to find the right program for them, and you can focus on personal messages and nurturing to the students who might actually select your institution. That takes knowing a great deal about different types of students in different countries. Students in the US and Canada, for example, respond best to email. They don’t want you disturbing their daily lives and they prefer technological communication. But for other countries email might not be the best method of communication. For some countries it might be phone calls or WhatsApp. In Hong Kong, for example, students are so busy, they might not respond to emails or calls. But if you message them via Facebook Messenger or WhatsApp, they can usually find a couple of quick minutes to respond to you. You just have to know the preferences in the countries you are targeting. Q: What is the biggest misconception that clients have when it comes to quality student recruitment? A: That more time equals more money. Sometimes clients seem to think that if they just sink in more time they will bring in more high quality students. It just doesn’t happen that way. Time is limited. Trying to spread your time to follow up with all students is a waste of time and energy. It just doesn’t work. Q: Has the rise of e-courses and online learning affected your work? A: The mentality of students who want online learning is different. And that varies by country too. In India, for example, students taking online courses are either not wealthy enough to study abroad or have already graduated from university and just want to learn more skills for their workplace. In the US or Canada, if students have already decided university is pointless, it’s a waste of time to try to attract them to your institution. You would have to persuade them on too many levels. So when you remember that it’s all about finding the right fit for the university and the student, online learning really doesn’t affect what I do. There are so many potential students in the world. We just promote to the people who are actually looking. Q: Do you ever focus on bringing students in by enticing them with a specific department or program within a school, rather than just focusing on the institution itself? A: Yes, and I think it goes back to thinking about finding the right fit. The aim is not just recruiting high quality students. It’s about helping the students build a brighter future. Sometimes that means promoting a specific program. You need to find the right students who are looking to study that program in that particular country. Maybe they want to study business and want to attend school in Canada, or they are looking for an engineering program but they prefer the US. It’s always about the right match for the right student. Q: How do you help universities stand out from the crowd? That’s what every client wants to know. A: Standing out from the crowd is a three step process. First, you need to know what kind of program the students want. You have to answer the market needs...it’s a moving process. You can’t just offer the same programs year after year and not respond to what students want. The world is changing and people are asking for different things. You need to know what to offer students. The second step is knowing where to find the right kind of students that want the programs your institution offers. Market research will give you that information. Make sure you aren’t marketing to the wrong kind of students for your university. Third is just to keep advertising your program like crazy. Sometimes educators need to change their programs so that they are more marketable. That can be hard for them to hear. 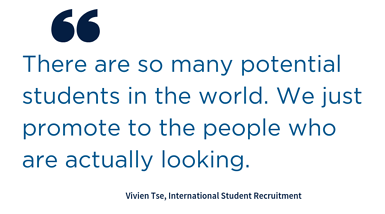 But when it comes to international students, it’s always about marketing. Running a successful marketing campaign isn’t just about filling seats. The focus is about the students, and finding the right fit for their educational journeys. Prioritize high quality students. Developing a system to determine early on whether a student would fit well with your institution prevents wasted time and energy. Know your market: different countries have societal preferences. Get to know the best way to connect with the students you are targeting. Research is key: Don’t be afraid to change your institution’s approach and program development based on what students want. You can reach Vivien on LinkedIn, as well as through her website.  Want to learn about how Glacier can help you with your recruitment goals? Set up a consultation with us today.